Our network architecture is based on core of redundant routers connected with rack access switches by redundant links. On the other side core routers are connected by multiple 10Gbit/s links to internet providers. BGP4 routing ensures speed and reliability for network traffic. 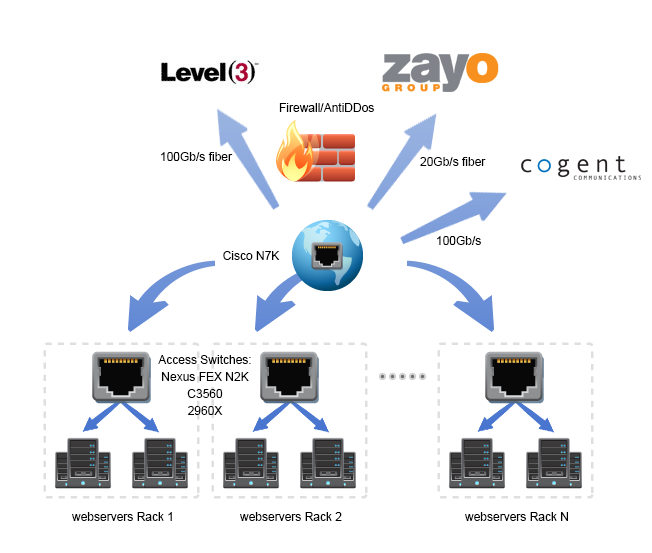 Besides that Natcoweb network is protected by the sophisticated firewall and AntiDDoS solution. In 2018 CenturyLink was selected as an authorized commercial internet service provider by The Quilt, a national coalition of non-profit U.S. regional research and education networks representing 40 networks and more than 900 educational institutions across the country. 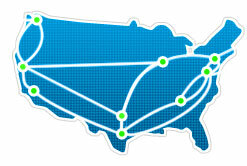 Zayo, Inc. provides fiber optical connectivity solutions for business and carriers. 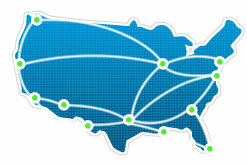 Its private optical network delivers key network and IP services in and among 15 top U.S. metro markets and London. Zayo's network is widely used in demanding markets such as financial services, media, health care, retail and government. Zayo's vision is to be the premier provider of fiber connectivity solutions for customers who desire a private, flexible and scalable transport infrastructure. Cogent's worldwide Tier 1 optical IP network is one of the largest of its kind, with direct IP connectivity to more than 5,470 AS (Autonomous System) networks around the world and over 71,900 Gbps internetworking capacity. Cogent's network is IPv6 and MPLS enabled, providing state-of-the-art solutions for businesses. Cogent has over 2,175 strategically located points of presence throughout North America, Europe and Asia. Its network stretches over 190 markets throughout 42 countries in North America, Europe and Asia, with over 55,000 route miles of long-haul fiber and over 28,000 miles of metropolitan fiber.